Most employers know that rewarding their best workers is good business. However, the “return” on such investment is difficult to measure, and wise employers think long and hard about two of their largest expense items – employee benefits and executive compensation. Today in the United States, under the glare of issues raised by the current financial crisis, company-sponsored benefits programs have become mere shadows of what they once were, and executive compensation has come under intense scrutiny to the point where the Treasury Department monitors it at companies receiving federal assistance. 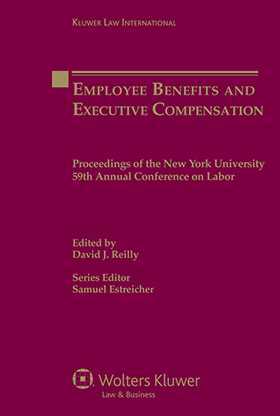 In recognition of the growing importance of employee benefits and executive compensation issues, the Center for Labor and Employment Law at New York University School of Law dedicated New York University’s 59th Annual Conference on Labor to an in-depth examination of these topics. • attorney conflict of interest situations under ERISA. As always, this annual conference captures valuable insights and syntheses of central labor and employment law issues in the United States and will be of great value to practitioners and academics in the field.